The Commonwealth Government has announced it will spend $15.4 million to support two new palliative care initiatives. Of that money, $6 million will be used to expand the Rural Palliative Care Project up until 2010. The focus of this stage of the project will be assisting divisions of general practice in regional and rural areas to develop the delivery of local palliative care services. The other $9.46 million will go towards clinical trials for six drugs – Ketorolac, Ketamine, Megace, Octreotide, and Respiradone — through the Palliative Care Clinical Studies Collaborative initiative. 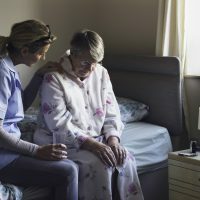 “Both these initiatives are further evidence of the Government’s commitment to supporting both those who work in palliative care and palliative care patients,” said Parliamentary Secretary to the Minister for Health and Ageing, Senator Brett Mason.